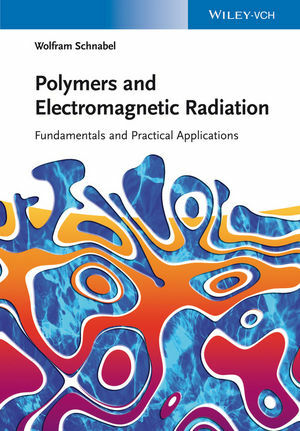 This first book to cover the interaction of polymers with radiation from the entire electromagnetic spectrum adopts a multidisciplinary approach to bridge polymer chemistry and physics, photochemistry, photophysics and materials science. The text is equally unique in its scope, devoting equal amounts of attention to the three aspects of synthesis, characterization, and applications. The first part deals with the interaction of polymers with non-ionizing radiation in the frequency-range from sub-terahertz via infrared radiation to visible and ultraviolet light, while the second covers interaction with ionizing radiation from the extreme ultraviolet to ?-ray photons. The result is a systematic overview of how both types of radiation can be used for different polymerization approaches, spectroscopy methods and lithography techniques. Authored by a world-renowned researcher and teacher with over 40 years of experience in the field, this is a highly practical and authoritative guide. Wolfram Schnabel, born in Freiburg, Silesia, Germany, in 1931, is Professor Emeritus at the Technical University of Berlin. He obtained his PhD in Chemistry from Cologne University, Germany, and did post-doctoral research at Northwestern University, Evanston, USA. Subsequently he worked on his habilitation at the Technical University of Berlin and, in parallel, was researcher at the Hahn-Meitner-Institute Berlin, now merged in the Helmholtz Center Berlin for Materials and Energy. Wolfram Schnabel was appointed Professor at the Technical University of Berlin in 1974 and had this position until his retirement. He published well over 300 journal articles in the fields of macromolecular chemistry, photochemistry and radiation chemistry and is the author of three books.